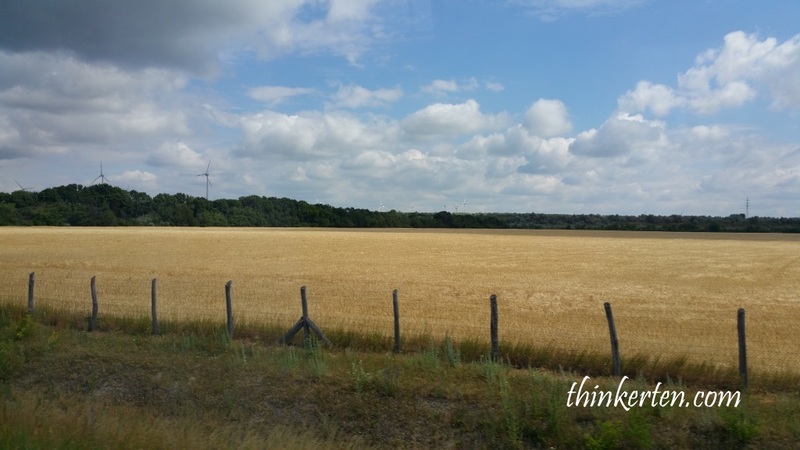 Budapest to Vienna took us about 2-3 hours drive. Schonbrunn Palace is one of Austria’s most important cultural assets, millions of visitors came to visit this place each year. The palace is a former imperial summer residence with 1441 rooms with Baroque style, but only 45 of the rooms are opened to public. A 70 years old local male guide helping us touring around the Palace Museum. Photography is not allowed so there is no picture to show inside the museum. What I could remember most was it was quite tiring from walking in and out of each room, admiring the beautiful furniture and the personal items used by Emperor Franz Joseph and his wife, Empress Elisabeth also known as Sisi. I remembered there is a room specially decorated in Chinese style, with furniture imported from China, it is called the “Round Chinese Room”. Empress Elisabeth is better known as Empress Sisi. 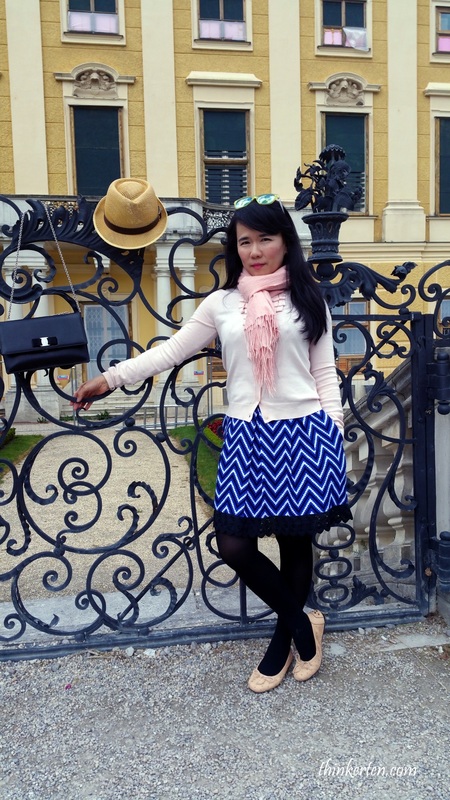 She is the most famous resident in Schonbrunn Palace. She was born in Munich, Germany but married to Emperor Franz Joseph and became Queen in Austria. She is famous for her beauty, especially her long hair and took hours to wash and care them. She was assassinated while traveling in Geneva, Switzerland at the age of 60s. I saw her portrait in the museum, truly beautiful with slender body and very small waist. This Palace has very big and beautiful garden. 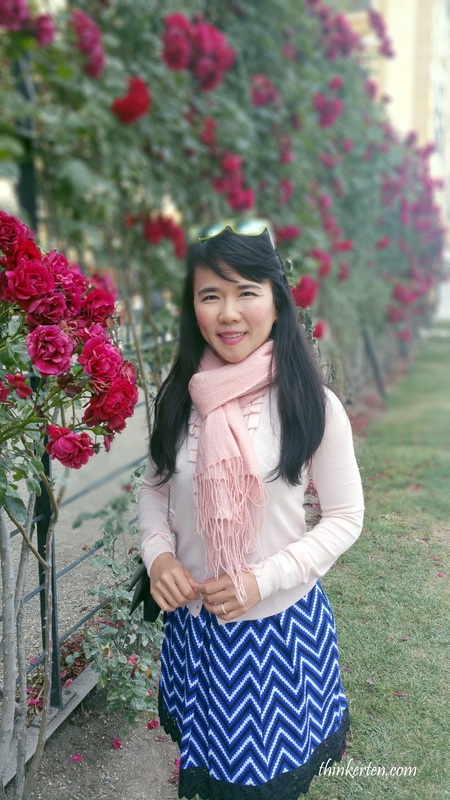 It was summer and everywhere is planted with flowers, especially red roses! 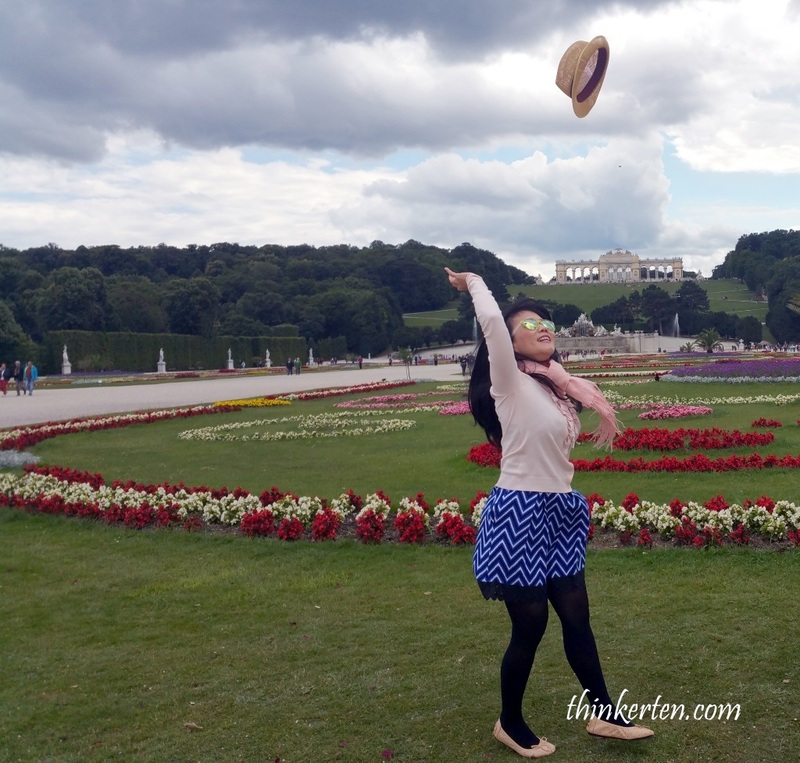 It is impossible to miss this beautiful garden if you were in Schonbrunn. This park was created to overshadow the park in Versailles, France. Extending for 1.2 km from east to west and approximately one km from north to south. Luckily the weather was quite windy and cooling so I was still able to manage the walking. Long time ago, this place also used to hold parties for the Vienna’s elite, just imagine ladies wearing long white gloves and sipping tea slowly in this garden. The palace look similar to Versailles in France, at least the wide structure and the color usage is in yellow look pretty similar. Gloriette is often refer to a Pavilion, it looks small from the picture as it was quite far. You can see from the below picture, the Gloriette is resting at the top of the Schonbrunn Hill. The Gloriette was used as a dining hall and festival hall as well as a breakfast room for emperor Franz Joseph I. I wonder how did the Emperor travel everyday from the main palace to the Gloriette, just to have his meals? The distance is just too far. Today it has a cafe in it. I did not manage to get up as the distance was too far and it was almost going to rain that day so I had to rush for shelter. 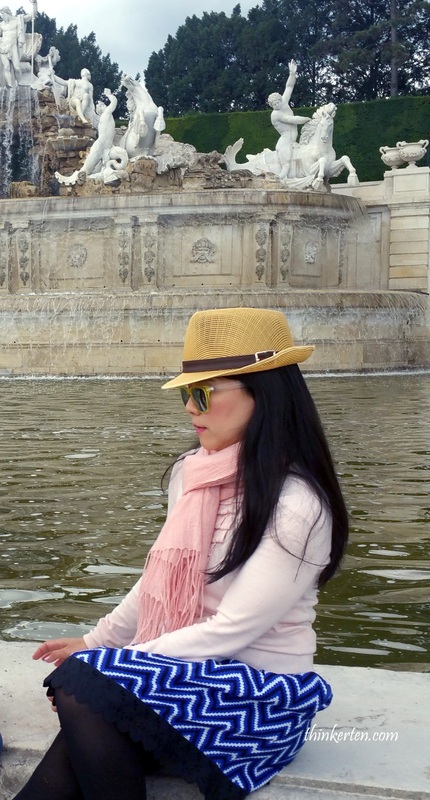 I only reached the fountain, which is half way of the Gloriette. 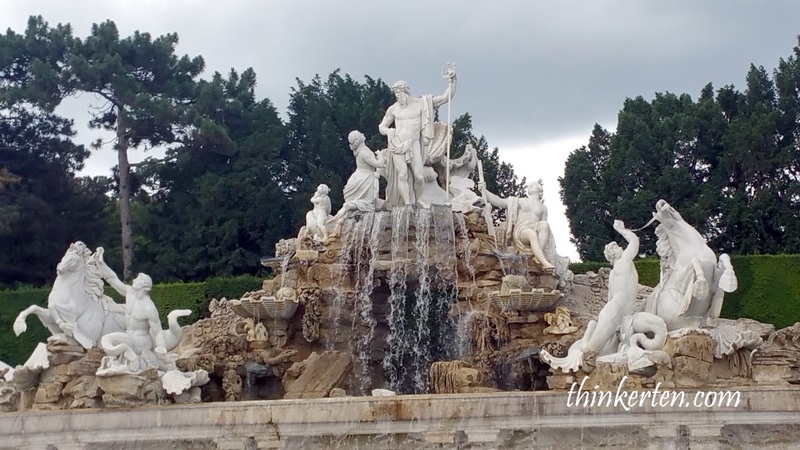 The Neptune Fountain is at the foot of the Gloriette hill. At the center of the figural group above a rocky grotto stands Neptune in a shell-shaped chariot, his long trident in his left hand. I especially loved the remarkable artifacts left over in the Palace used by Empress Sisi. 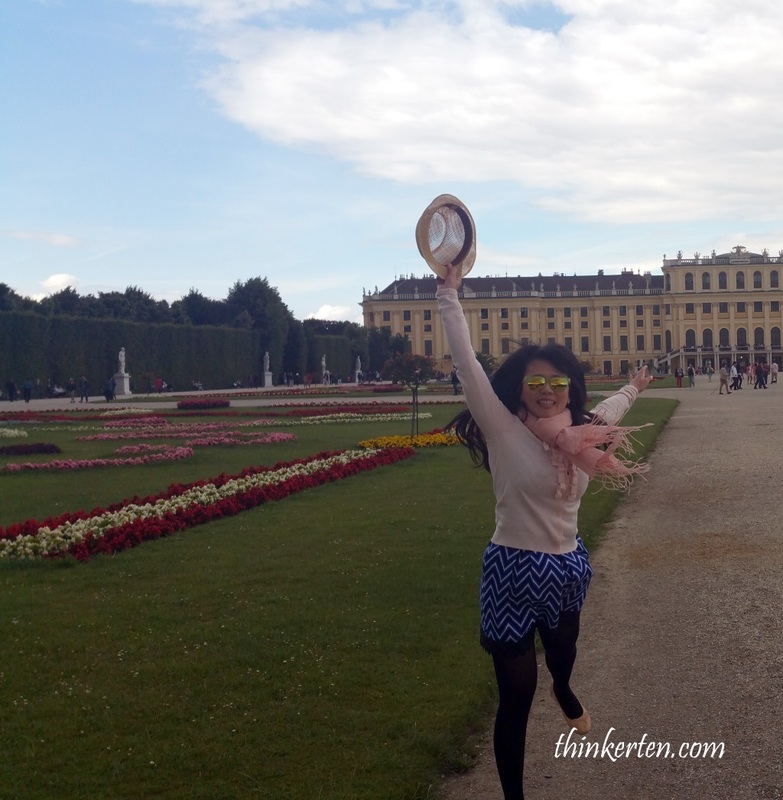 Schonbrunn Palace is a very historical place where I have learn so much of the European History! The Town Hall was built in Gothic style, with a tower similar to Gothic cathedrals. 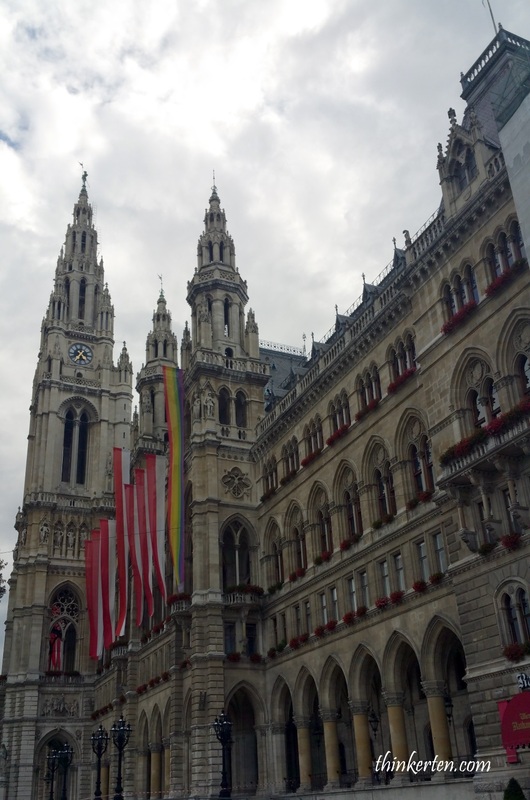 Today the Town Hall is the head office of Vienna’s municipal administration. More than 2000 people working here. It must be super cool to work in this old building. The central tower is the most impressive part of the building, it is 105 meters high. St. Stephen’s Cathedral is the mother church of the Roman Catholic. 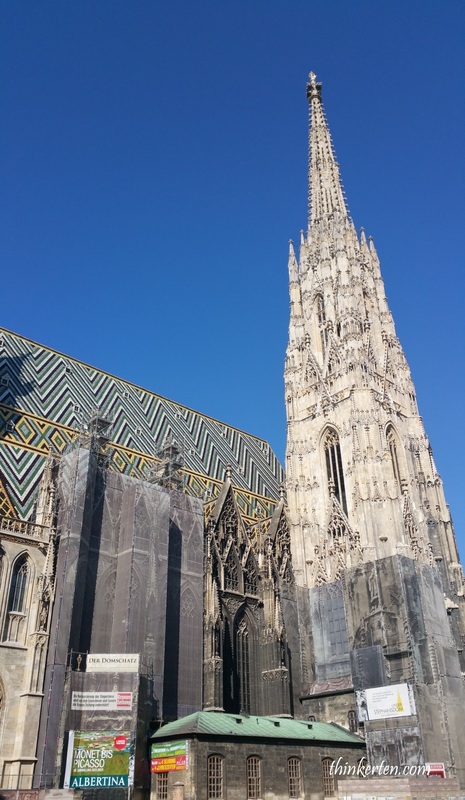 What make this church unique is the multi-colored tile roof and has become one of the city’s most recognizable symbols. Look carefully at the roof top, really nice pattern. Good thing traveling in Europe is you will find many Palaces in different architecture style and worth spending some time to explore. The Hofburg is the former imperial palace in Vienna but today it is used for official residence and workplace of the President of Austria. 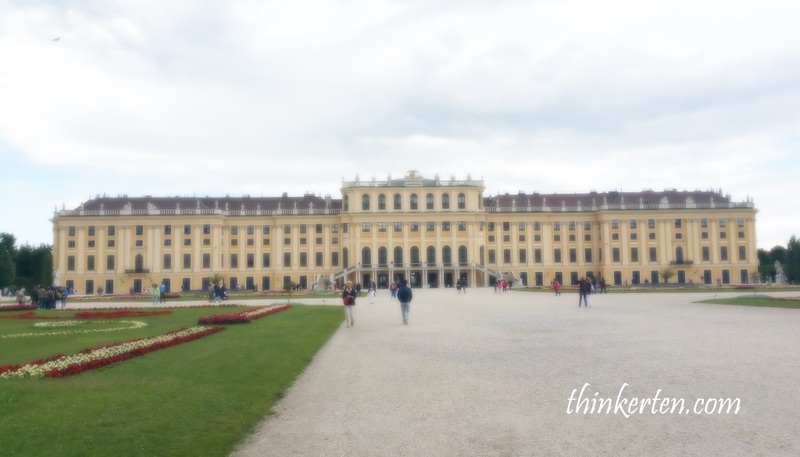 It was the main imperial residence in winter and Schonbrunn Palace serve as a secondary residence in the summer. 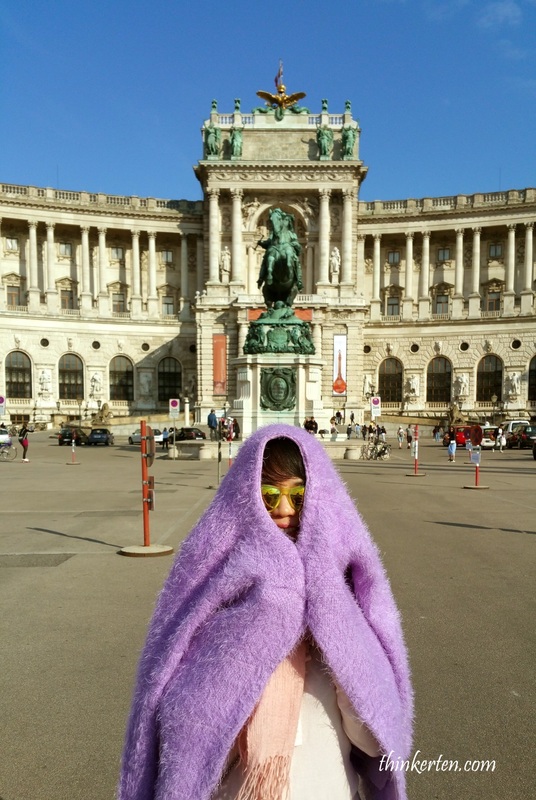 Heldenplatz means Hero’s Square in German, is a public space in front of the Hofburg Palace. 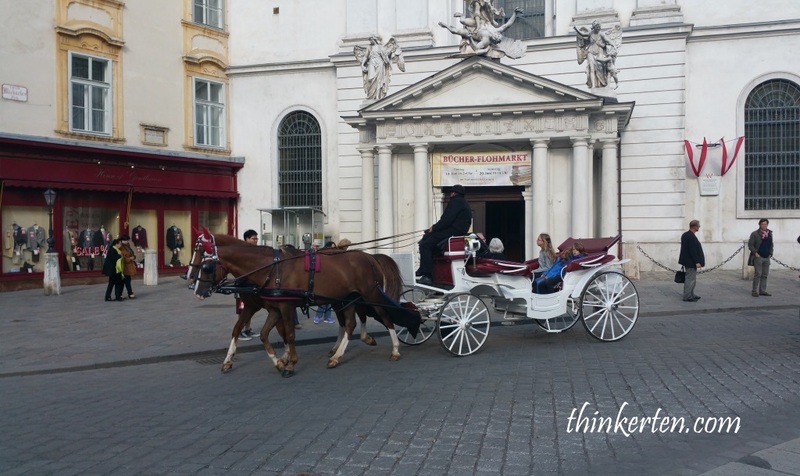 I saw horse carriage carrying tourists round the square. Pretty cool to sit in the carriage! 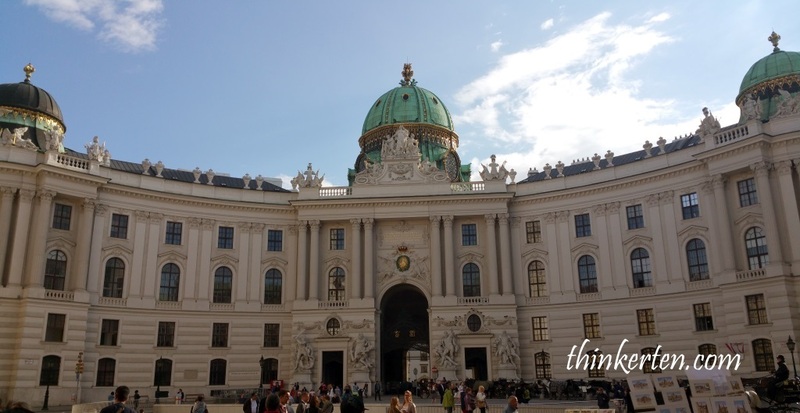 A panoramic view of the Hofburg Palace. There is the statue of Archduke Charles in the middle, which is quite prominent. Archduke Charles was a famous Austrian Field Marshal which was considered one of Napoleon’s most formidable opponents! This equestrian statue was erected in 1860 to the memory of Archduke Charles of Austria, Duke of Teschen. The most interesting fact of this statue is the pose of the horse, it was standing with two hind legs on the pedestal. Refer to below picture. After visiting the Hofburg Palace we walked to the historical Gate, Outer Burgtor. It is now known as the Heroes’ Gate, used as a memorial to the fallen of the First and Second World War. 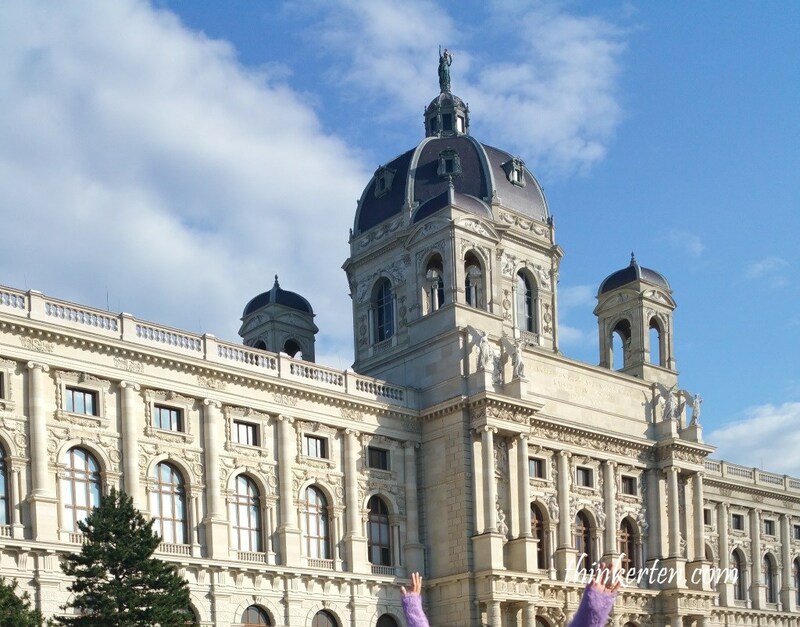 This is the Museum of Fine Arts and also the largest arts museum in Austria. The building is in rectangular shape but there is a huge dome on top 60 m high. Weather in Vienna was still quite cold even in the summer, especially when the sun started to set. I was wearing two cardigans, one thin and one quite thick cardigan and a scarf to keep me warm. Found this cafe with a funny and interesting name, ” We are all Mad here”. Open 25 hours – how cool is that? Our night end with a concert show in Vienna. We watched classical ballet and Opera, the hall was not too big but it was full house. 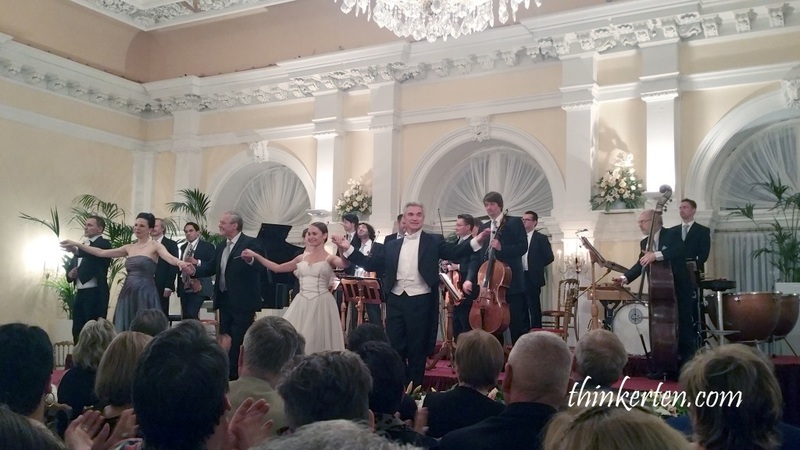 Ticket was quite expensive but it was good to experience while in Vienna.